When you are saying blue tipped claws, do you mean, the hole shrimp is blue? Cause there are Crayfish that can be blue. You can see what I mean with the link below. If they are blue crayfish, then yeah they will eat anything that they can get in the claws. Dwarf cray perhaps? Shrimp don't kill, they scavenge. What are your water parameters? It's entirely likely that the pleco died and the "shrimp" was cleaning up. Any chance of a pic? 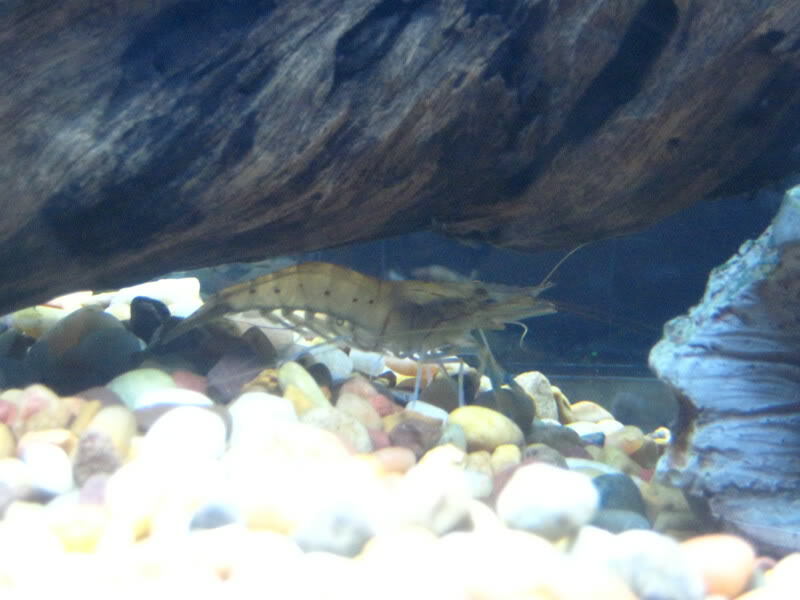 that looks like an amano shrimp and they only scavenge for food they do not kill.they will eat algea and any food that falls on the bottom of the tank or on leaves of plants. Yep, no claws there... only an opportunist. 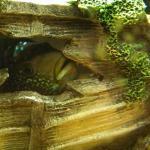 How long ago did you purchase the pleco? They often arrive at LFS's super stressed and food deprived. Sometimes when you buy one it is emaciated and at the point of no return, sadly. I'm sure you are doing your best, keep it up.